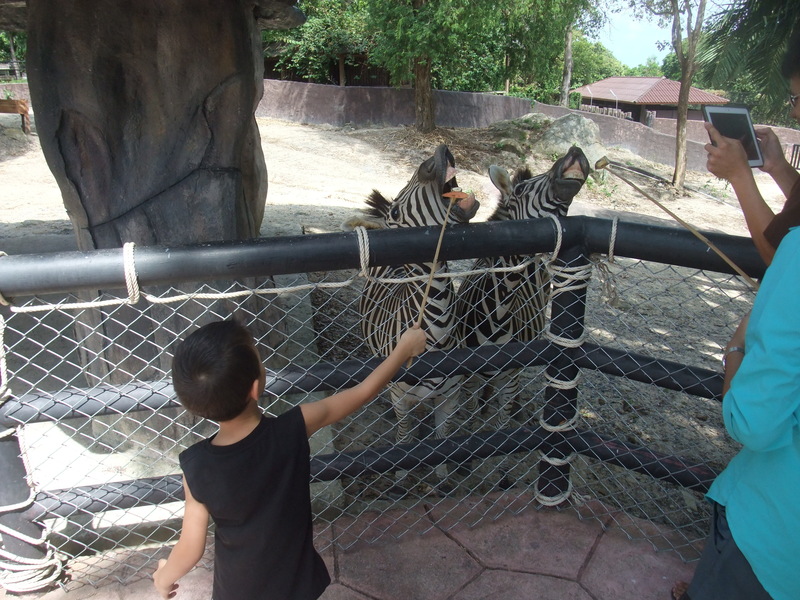 Visit Songkhla – feed a tiger! About 20-30 minutes away from Hat Yai is Songkhla, a coastal city with a zoo/water park, an aquarium, and a nice beach too. A view of Songkla from the restaurant at the zoo. The zoo/water park is classic Thai. 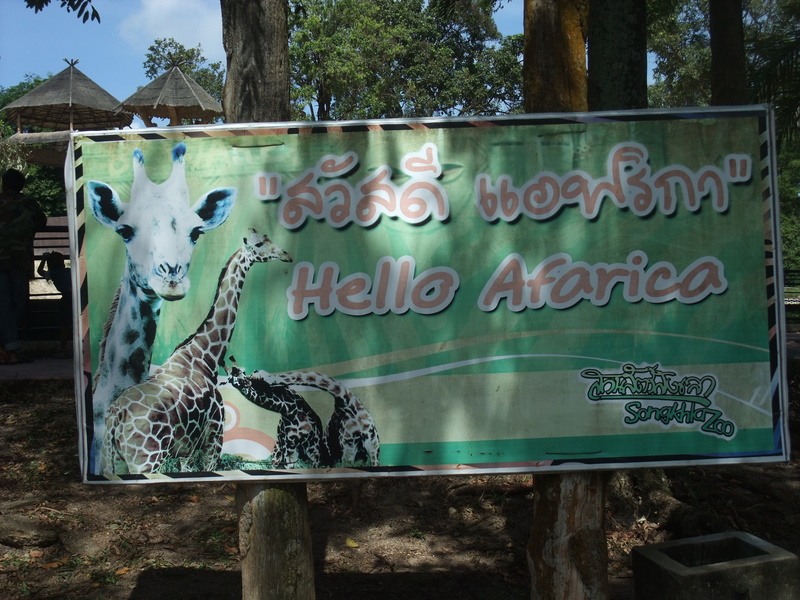 Lots of stuff, very casual, very inexpensive (150 baht entry fee covers both the zoo and the water park) and very friendly. The whole thing is built on a mountain top, providing a slightly cooler environment and some great views. The water park was pretty old and the water slides were neither real slides nor did they have any water in them. They were basically carved out of cement, angled in weird ways, and looked really dangerous. They were also raised so that you would shoot out 2-3 feet above the water with great speed, rather than directly into the water, as with most water slides. Of course, you have to try something like that but the slides were bone dry. I’m not sure if that was intentional or they had just forgotten to turn on the water or enough people had gotten damaged that they figured it might be better to close them. The water park still had a great lazy river and was a nice reprieve from the zoo. I’ve always wanted to visit there! The most interesting part of the zoo is that you can feed pretty much any animal. Solo fed giraffes, zebras, elephants, hippos, ostriches, birds and deer. The door to the anaconda cage was wide open so I’m sure it found something to eat as well. Solo wanted to feed the tigers but the way to do it was to tie a juicy piece of raw mystery meat onto a very long bamboo pole and then extend that towards the tiger. It required a bit more strength than he had, especially when the tiger leaped 5 feet into the air, got hold of the meat and started pulling on it. It was kind of like playing tug of war with a tiger. It was so fun I did it twice! 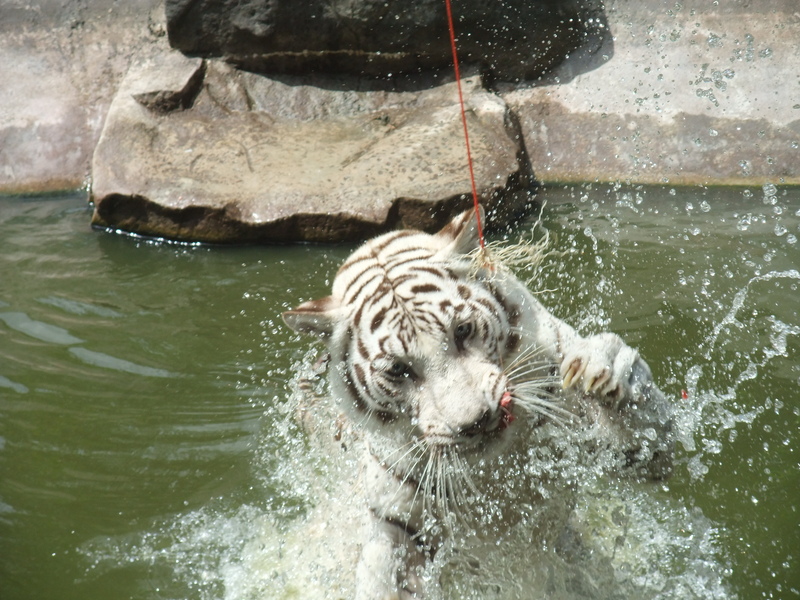 An albino tiger leaps up to grab a tasty morsel. Sadly, none of the photos from the aquarium turned out well. It’s worth the visit, though, just to see a diver goad a nurse shark and then two giant sea turtles into slow dancing with him. http://www.songkhlaaquarium.com/eng/. Only in Thailand! 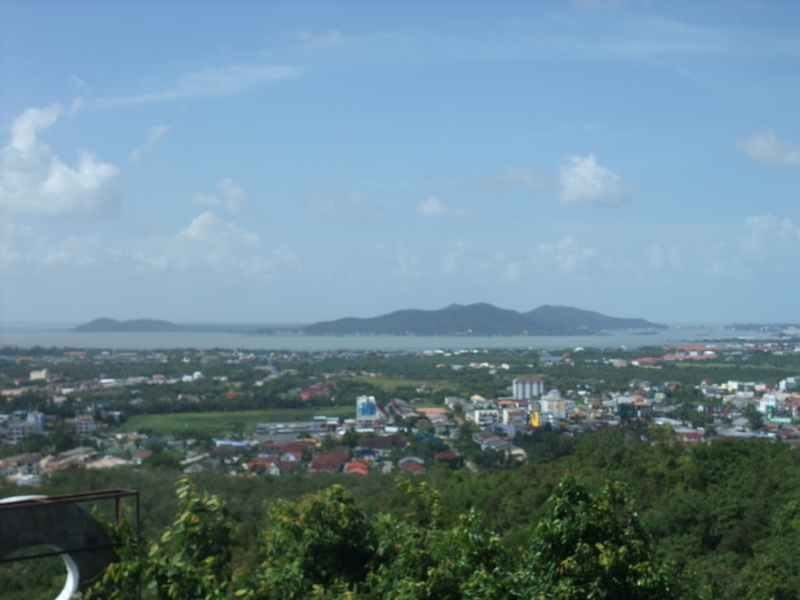 If you answered “yes” to any of the above, then Hat Yai is worth a visit! Solo, Jeab and I recently took a weekend trip to Hat Yai. The city is one of the largest in Thailand (3rd, I think, after Bangkok and Chiang Mai) and is about 4-5 hours south of Surat. It has a Surat-like feel to it, in that everything is conveniently located in the center of town, but if you have your own transportation, or if you like to walk, you can venture down hundreds of little side roads and who knows what you’ll discover. The town is even less organized than Surat, with roads running every which way. But the center of town is usually where people end up. There is an older Central department store (complete with Sizzler), lots of hotels, lots of Chinese restaurants, and thousands of stalls selling all kinds of stuff. It’s a very busy place, usually getting the most active at night. There are huge crowds of Chinese tourists, as well visitors from Malaysia, so you’ll hear all kinds of languages being spoken. 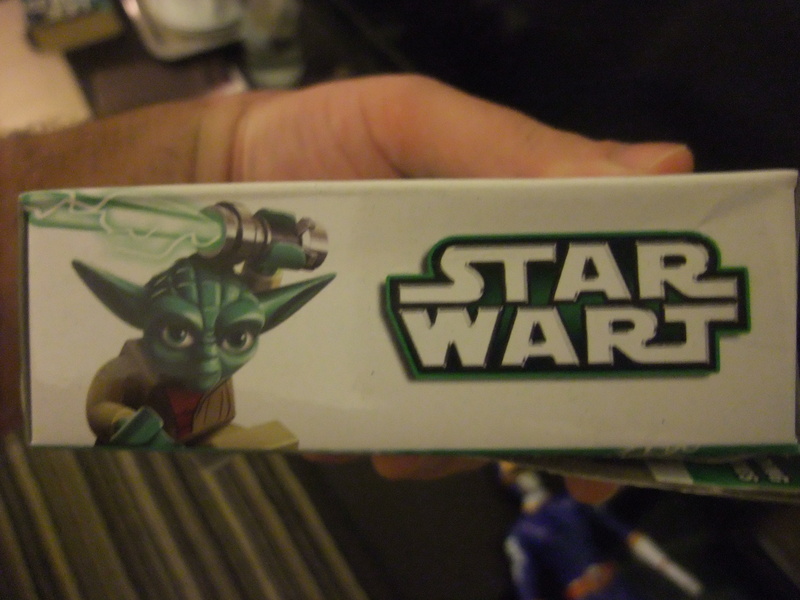 Nearly everything outside the department stores is knock-offs and pretty cheap. Solo cleaned up on toys. Just a few minutes drive away from downtown is Central Festival Hat Yai, which just opened in mid-December. It is the largest shopping mall in the South, a distinction the Central Plaza in Surat had until recently. It’s a big place, complete with ice skating rink, bowling alleys, toys r’ us, movie theater, and lots of other fun stuff. Right down the street from Central Festival is yet another market, this one only open at night. This place has stuff that’s even cheaper than the main market downtown. Also, there is a 3-D museum (https://www.facebook.com/media/set/?set=a.10152069582359660.1073741849.276059974659&type=3) at this market. We’re saving that one for our next visit, along with the Hat Yai Ice Dome. 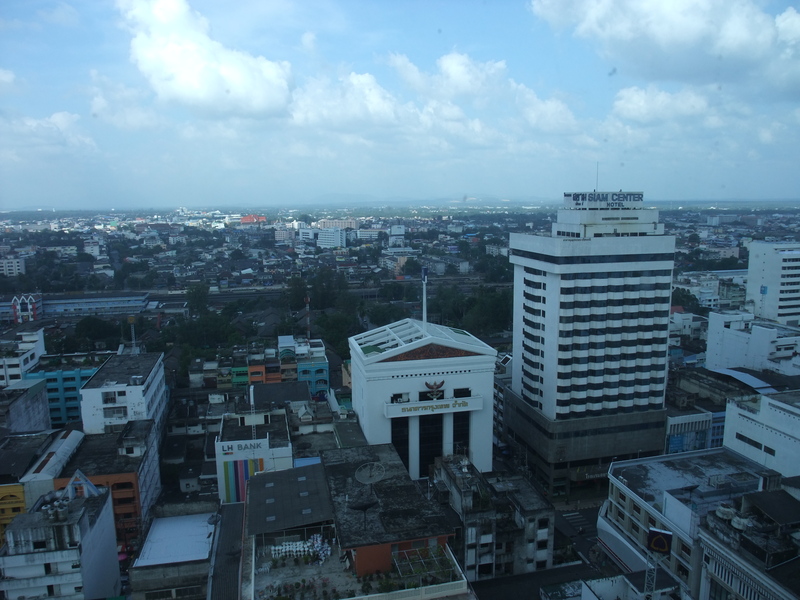 Overall, Hat Yai reminded me a lot of Hong Kong, although a lot smaller and with things much more centrally located. And, like HK, it takes a while to get there. But once you’re in Hat Yai there is lots to do!